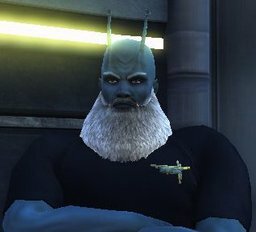 Thanos served in Starfleet until he murdered a fellow officer, after which he was faced Court Martial and was found guilty. Sentenced to serve out the reminder of his life on a Federation penal colony, Thanos eventually managed to escape through unknown means. He remains at large, with a sizeable reward for his capture.